Both the teams are playing their second AFC Asian Cup qualifier after winning the first rounds 1-0 against Myanmar and Macau respectively. You can read the match report on Khel Now in some time. We will keep you updated. 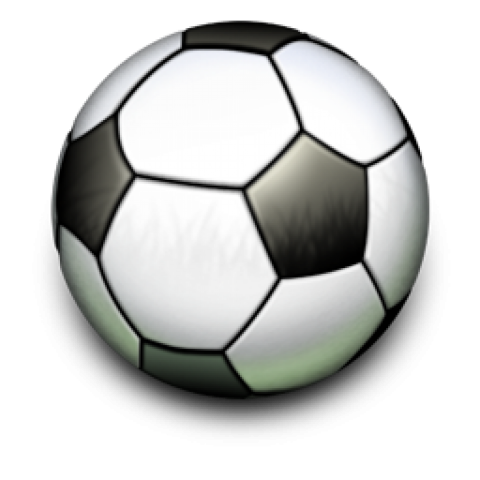 Keep following Khel Now Football for more. India on the top of Group A with six points from two encounters, virtually one step into the ASIAN CUP 2019. SUNIL CHHETRI, please don't retire will be the chants from the fans. The captain does it yet again and the Indian team will need to learn to convert chances better. The scoreline should be 3-0 at least. BRILLIANT, BRILLIANT GAME OF FOOTBALL! EMOTIONAL. The Men in Blue cheer and acknowledge the support. THE 'FINAL' WHISTLE BLOWS and INDIA has one step in the ASIAN CUP 2019. 90+4' WHAT A MISS FROM THE CAPTAIN. MAKES SPACE, BEATS TWO and shoots over. GSS, take a bow at the other end. WHAT A SAVE. END TO END STUFF! Corner, and the opposition GK is in the Indian box. 90+3' Another move from the visitors. Sandhu collects it with ease. Words exchanged as the crowd boos the White team. Chhetri miffed at missing another one! 90+2' SHOULD'VE BEEN 2-0. CHHETRI PLAYS IT to ROBIN, who is one on one, with acres of space. Slots it over. WHY, BATMAN, WHY? 90' India attack, with Robin playing it to Jairu who plays it back but is cleared for a throw-in. Narayn takes it and crosses. Kyrgyz on the break, with Lux trying to find men. Akhlidin comes in support. 4 minutes added as India clears. Free kick against Narzary on the left wing. HERO OF THE MATCH! 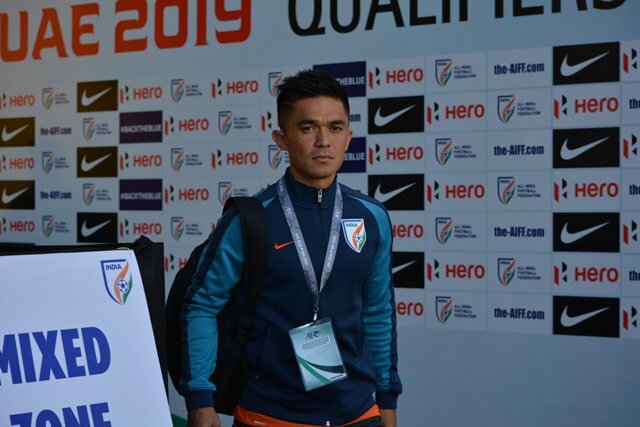 NO AWARDS ON THAT: SUNIL CHHETRI, without a doubt. 88' Three points! Such a huge step to Asian Cup qualification! India with a free kick from the foul on Jairu. India needs to play with the ball a little. Eugene with a tackle in the ball, a brilliant one at that. 86' Cleared first by Jhingan's header, and then for a throw-in by Narayan Das. Cleared again by Robin for a corner. Robin's energy, today, has been infectious so far. Corner. Is cleared by Jhingan again. Jairu is brought down badly. 85' Narzary has certainly played for the team today. Robin with another header. Keeping the opposition centre-backs on their toes. Hand ball from Pritam. Free-kick to the visitors. 84' Very close, but is offside. Robin running in on goal. Can he do a Zlatan? No, he cannot? The GK is injured! Robin bringing all his physical prowess in the game. 54th International goal! Once in a generation! That ICEMAN! Sunil Chhetri, we love you! 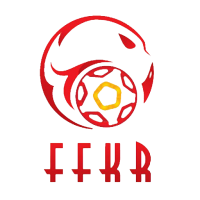 81' MAIER OFF, AKHMEDOV ON For Kyrgyz Republic. Another save from Gurpreet. The No. 23 is down in pain and a little trouble. Good covering from both Anas and Jhingan. How often have we seen that today evening? 80' ROBIN SINGH ON FOR JEJE LALPEKHLUA. 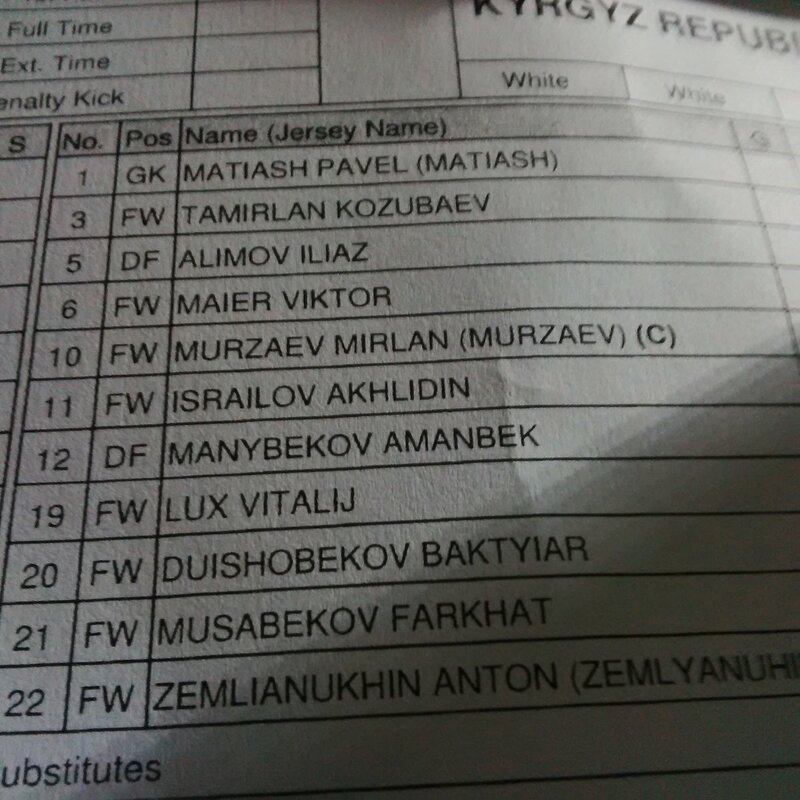 More physical worry for the Kyrgyz defence. 79' Jairu makes two runs, and crosses at the end of the second one. Into the arms of the goalkeeper. Good speed, though, from the substitute. Kyrgyz attacking now. playing in the Indian half slowly. Lose a pass, and the possession. 77' Another foul on a Kyrgyz player. Quick free kick taken. Another diving headed clearance from Anas. Narzary looks to be out of breath or in pain, but Kotal has been so, so good today! 76' Free kick, straight to Gurpreet. Releases it quick, Jairu tries to cross/shoot, gets it all wrong. 75' Rafique brings down a Kyrgyz player. Free-kick to the visitors in a dangerous position, 35 yards out. Clattered into Farkhat there. 74' Bikash Jairu on for Jackichand Singh. 73' SURPRISE SURPRISE! India gets a free kick. You know why it's in the bold. Jeje is brought down, and Amilov is shown the Yellow. 72' No questions on the supporters! West Block Blues, we salute you! Manjappada, we salute you! Keep shouting and cheering. 71' So many times, and once again. A change comes on as Murzaev makes way for Uulu. Chhetri creates again, plays to Narzary and the attack dies down. Crazy scenes. 69' CAPTAIN FANTASTIC FOR A REASON!!!!!!! It's one for India! Chhetri scores with a run, a wall pass with Jeje and scores with a volley in the right bottom corner. 68' Another foul, not given. Same old story. Jeje is brought down, the ref asks him to rise up! 67' Another offside, against the captain. What is going on? What is this happening? Yamamoto seems to be ready to make headlines tomorrow! 66' The substitution looks tricky and it will be interesting to see how it pans out. Gurpreet launches another long one from a back kick. Anas clears as Kyrgyz try to attack. Offside against Jeje. The third of the game. 65' ROWLIN BORGES MAKES WAY FOR MD. RAFIQUE. WHAT WAS THIS? 65' Jhingan with a foul in clearing the ball on Akhlidin. The defender smiles, knowing there's no wrong done. 63' Another shot comes in but is comfortably saved by Sandhu. Rafique looks to be coming on for Jackichand Singh. 62' India create again from the back. Jeje should have a little more speed. Another bad decision as Jeje is stopped without any fault of his. 61' INDIA CLEAR IT OFF THE LINE! JHINGAN IS THE SAVIOUR! GURPREET SAVES, and AKHLIDIN Shoots, but Jhingan and ANAS save in tandem. Superb defending. 60' Kyrgyzstan try to attack by shifting wings but is just a little too heavy. Maier has played a good game and has easily been their best defender. German experience. Borges blocks another attack. 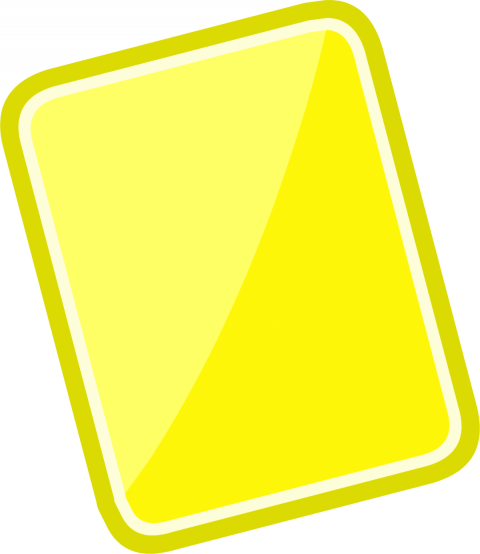 58' Jacki and Jeje cramp the Kyrgyz defence on the left for space but the referee sees it otherwise and gives a foul. "F**K OFF REFEREE" All over the stadium. 57' Corner to India as Chhetri creates something out of nowhere. Was very close to the goal but was defended against in numbers. The energy is slowly coming back. Another corner, cleared. Played back to Holi, who crosses for the captain. CHHETRI Shoots it over! BEST CHANCE OF THE GAME! 55' Kotal misses a long ball and concedes a throw to the visitors on the left wing. Akhlidin shoots from his left foot and hits the post! WHAT are the defenders doing? 54' Rowlin finds Jacki with a good chip, and the No. 10 wins a corner. Eugene standing over it. The crowd is electric. Anas heads it, straight to the goalkeeper. Kyrgyz create again. 52' Jackichand exchanges pass with Eugene on the right. India loses possession and Bakhtiyar shoots again but is over. Poor, poor stuff from the home side. Calm down. 50' Another good build up from Kyrgyz from the right wing, but Jacki takes control and clears it. Chhetri is again pulled down and another shot comes in from the left. Curled wide. Is this a game under a referee? Where is he? 48' Just outside the box, and Narzary, Jhingan, Anas and Borges stand on the box. The Kyrgyz No. 6 pushes Eugene with his hands. Poor footballing spirit. The referee spotted that. The wall blocks it and Narzary wins it back. Akhlidin shoots over from the 6-yard mark. 47' Kyrgyzstan start the second half, and there are no changes as of now. Chhetri wins a free kick with the first move. A foul, not given, on Jeje Lalpekhlua. The No. 12 shoots free, but is saved again. Should, SHOULD'VE done better. FOUL from Eugeneson just outside the Indian box. India's 100th ranking is highlighted by the West Block Blues as the National teams walk back on the pitch. The team has huddled up. The fans are crazily backing the home side. The referee will be under scanner after today's howlers. With 45 more to go, can he redeem himself? Yamamoto, are you still in the ISL final mode? The Indian defence has been fairly good. Kotal and Jhingan have been really good in the first half. Kotal, though, cannot do much with Murzaev shooting from range. Is ROBIN SINGH coming on for the next 45? Will it help India's chances? HALF TIME SUMMARY: The game started off with Kyrgyzstan all over the hosts. After the first 15-20 minutes, the Indian team slowly grew and by the end, were the more dominant side with the better chances. Opposition captain Mirlan Murzaev has taken 5 shots, just one of them on target. India, meanwhile, should have scored at least tried. A lot to play in the next 45 as the game intensifies. 45+3' Another good move as Chhetri crosses from his left. Headed out by a defender. Yamamoto is not happy as Eugene tries to get an aerial ball and has fouled. Farkhat tries again from point-blank range, but Gurpreet saves again as India save the blushes after the first 45 minutes. 45+1' 3 MINUTES OF ADDED TIME. Gurpreet starts another attack as Jeje controls a long ball brilliantly on his chest. The cheering has been constant and powerful. India has created the better chances in the first 45 but need to finish better. Lux tries to run into a channel, but Sandhu and Jhingan are co-ordinating and alert. The defence has been sound. 44' Kyrgyzstan with another attack. Lux with a shot, but Gurpreet deals with it comfortably. Easy collections for the Stabaek Fotball man. Chhetri creates again from the left. Can't find an Indian shirt with a splitting pass. Kryzygstan cross into the box, but is missed in terms of connection. 43' The teams, now, look content in keeping the ball. The frequency of the attack has come down and we expect it to be goalless as they close on in to the break. Jhingan with a pass to Chhetri, who finds Eugene. 41' India create again from the back but is poor. Jhingan tries to find someone, but misplaces it badly. More composure expected from the Kerala Blasters rock. Robin is warming up behind Gurpreet's goal. Narzary wins another ball, but can't beat a defender. 40' Another attempt, another clearance from Kotal and Jhingan. Debatable though as the fans look irritated on the decision-making. Jhingan is fouled by Lux. 38' Gurpreet controls the free kick easily. Jackichand runs to a long ball and controls it well. Throw in to India, as it is defended with ease. Long ball into the box from Borges, Jeje gets it, but is offside. 37' Narzary brings down a player on the right wing. Fould and a free kick to the visitors. Chance again, for the Men in White. 36' India build again and Chhetri throws a ball in the box. Jeje shoots but is saved. Good chance for India again. Will they break the deadlock before the break? LOOKS LIKE! 34' Kyrgyz build well from the right this time. Another run, another cross, but is cleared by Narayan Das. Shot again, but Anas blocks it confidently. Jackichand is again brought down on the right wing centre. Kotal sends it long but Chhetri fouls on a defender. 33' Gurpreet collects another long cross and India try to create again. Free kick to Kyrgyz again as Eugene is caught fouling. Murzaev shoots again, but is again wide. Time ticking for the captain? 32' Jeje miscontrols a ball from Chhetri as the captain finds him at the top of the pitch alone. Poor stuff from No. 12. Jeje knows it and should've turned better. 31' Mirlan shoots again, but is wide again. Kotal needs to keep him silent. 30' Well dealt, but is just shameful stuff from the officiators. Poor miss at the end from Yamamoto. The ref smiles as Jhingan is furious at the decision. FLAWED is the word. ISL mode on, ref? 28' The referee has blown the whistle as Gurpreet picks up the ball and a free kick is given in the Indian box. Poor, poor refereeing. 27' India have come closer to scoring than the visitors. Chhetri is brought down but advantage is played. The commentator says, "THAT'S POOR REFERRING." 26' Chhetri with a brilliant touch in the centre. Plays it to Jack. Jack crosses, finds Chhetri in the box, who can't control it well. Narzary shoots, but cannot connect it well enough. HUGE MISS! 24' Another brilliant tackle from Kotal as the No. 20 comes in and asks for support for Jackichand. Irresponsible from the right winger. Another corner for the visitors. Poor ball in. Jeje clears long without any pressure. Better decision making maybe? 23' Jackichand tries to link up with Kotal on the right wing, but is stopped. India regain possession and control Chhetri coming in too deep at times to help the midfield. Jackichand with a cross, but is defended well. The No. 10 tries to chip, but is over the bar. Could've been better on the cross, Jack. 22' India creating with more freedom now but Chhetri has been heavily man-marked. Kotal delivers another one into the box, but is just a little too much for Jeje. So near, yet so far from the right back. It will happen, just keep going! 20' Jhingan is fouled in India's half. Free kick to the Blues as Kotal sends it long. Chhetri heads it down for Jeje, but the prolific striker can't reach to it under pressure and good covering. India slowly growing into the game. 19' Corner! Short one. Taken by Kyrgyzstan defender but Jhingan stops it with a brilliant tackle. India create again! Jackichand to Jeje, Jeje to Chhetri but the pass is a little too forward. The captain mis-reads it. 17' Rowlin plays it to Jackichand, who loses it trying to do too much. Crosses the second time, and is headed out for a corner. First chance for India to do something worthy! Can they do it this time? 16' Another shot from Murzaev, but is wide. India living dangerously. The hosts are playing too deep. Chhetri and Lyngdoh need to combine well. Jackichand is offside as the hosts try to create a chance. 15' Brilliant save from Gurpreet. Mirlan rounds Kotal and Jhingan and shoots, but the No. 23 keeps it out with a low, diving save. Corner to the visitors. 14' India trying to apply pressure in the opposition half. Anas and Jhingan trying to maintain the line. Chhetri wins a ball in the centre of the park, but looses it due to extensive pressure. 12' Narzary is playing very low, and is supporting Narayan Das well. The ball has been played in India's half mostly and Constantine wouldn't be a happy man. Foul on Jackichand Singh as the speedster tries to control a ball on the right wing from Sandhu. YAMAMOTO, the referee, has a controversial history. He refereed the ISL 2 final of Goa vs Chennaiyin, in which Elano was defamed. The Brazilian never returned. 10' Vitaly Lux is playing off Jhingan and the No.5 has conceded a free kick. Good defending, once again from India. Jeje clears it for Lyngdoh, but the No. 7 fails to control it. Narzary stops another attack. India must calm down and play on the ball. 09' Kyrgyzstan slowly improving and imposing themselves. Corner to the visitors. Curling ball comes in, Gurpreet clears and Borges does the rest with a powerful clearance. 07' Jeje fouls while controlling a long ball from Sandhu. Free kick to KGZ. Change coming on as No. 22 makes way for No. 9. Shot comes in from No. 19, but is blocked by Jhingan. Bernhardt comes in for Anton. 06' India trying to play with the ball at the feet and Kotal is trying to hit the ball long. Jeje the obvious target and captain playing off him. Superb tackle from Kotal on the right back area. Long throw in from the Kyrgyz captain, but India is awarded a free-kick. 05' First change of the game, early in the came due to a medical situation. Sandhu is a beast, and he proves that again. 03' Free kick to Kyrgyzstan as a striker chases a long ball and Gurpreet comes out to clear. Heads the ball, but crashes into the striker. The striker looks in trouble. Gurpreet also looks to have troubled Narayan Das with the aerial challenge. Medical help. 02' Jeje kicks off the proceedings. India on the offensive from the word go. Chhetri and Jeje link up and Narzary crosse but is too heavy for Jackichand Singh. 00' Huddles done. Down to business! 07:58 PM: The players have shaken hands, and so have the managers. Toss is done, and India will certainly look at three points hereon. 07:56 PM: The National anthems have been played. Goosebumps, everytime, Jana Gana Mana takes the centre-stage. Manjappada, too, looks great with their banner. Speed on the wings in the form of Jackichand and Narzary and Borges and Lyngdoh behind No. 10 captain Chhetri. Sounds more logical? 07:54 PM: "THE ROAD IS LONG, BUT THE BELIEF IS EVERYTHING. 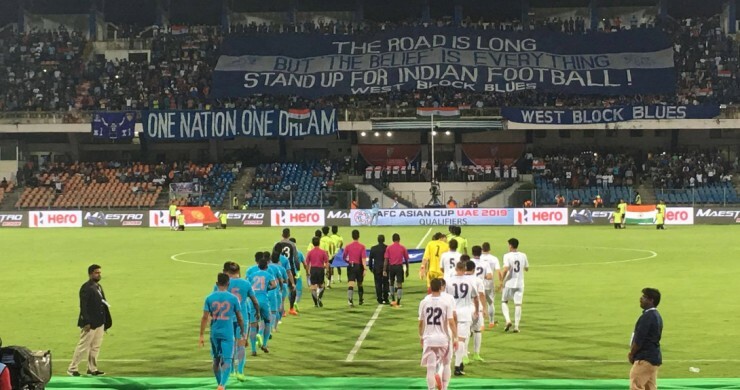 STAND UP FOR INDIAN FOOTBALL" says the WEST BLOCK BLUES on a massive poster. What a sight that is! 07:53 PM: The flags come out in the centre of the pitch. 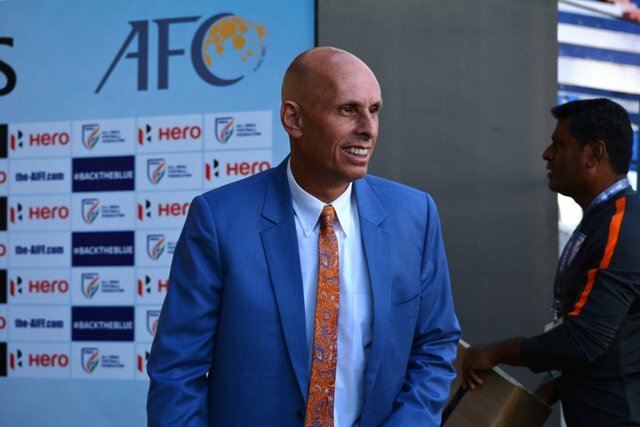 Stephen Constantine overlooks the development. The stands look bombarding! The teams are walking out to the centre. 07:52 PM: India will line up in a 4-2-3-1 formation, with on-fire striker Jeje leading the line. Chhetri, Lyngdoh and Jackichand will support him with Borges covering the same backline that started against Nepal. Good luck to the #MenInBlue! 07:51 PM: Alexsandr Krestinin had said, "We might not have played enough games recently, but we're here only for a victory." Says a coach who's team has scored just twice in 630 minutes of football. Over-confidence? 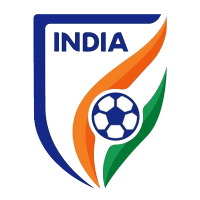 07:50 PM: India can breach the two-digit mark on FIFA rankings if they win this game. Losing it will push them out of the top 100. Do or die, in a way? 07:47 PM: FACT: Kyrgyzstan have scored just two goals in their last seven encounters, but this should not mean an easy time for Jhingan and Anas. 07:45 PM: The players have just gone in after warming up and will now get ready for the biggest match of the year so far. If you're here, make your presence felt with #INDvKGZ and #BacktheBlue #Indianfootball. Two changes in the India XI as Eugeneson Lyngdoh comes in for Mohd. 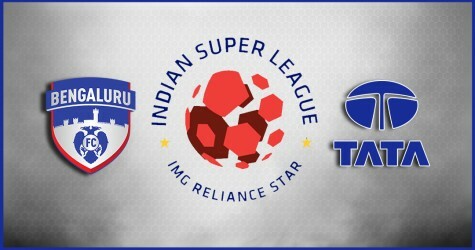 Rafique and Robin Singh makes way for captain Sunil Chhetri. 07:12 PM: News from Group A. Myanmar rout Macau 4-0. This makes it better for the Blue Tigers! 07:08 PM Seven wins on the trot. Can we make it 8 in 8? India has won 3-2, 1-0 and 2-0 in 2017. Can we keep the trend going? Cheer the Blue! 07:04 PM The manager looks dapper tonight! The captain's here! Where are you? Looks determined, doesn't it? We have a cover-it-all preview for you, which gives you the build-up, every information and detail to the core. Constantine: "It’ll be a battle of stamina tomorrow. We are very physical and we think we're strong enough to take them on. We’re hard working team. They are a difficult side to break down." Krestinin: "India are playing smart football recently. Getting good results always gives you confidence. In this day and age, everyone has information about their opponent. We are well prepared for India and we hope that there will be a good contest." 7:15 pm: Hello and welcome to the AFC Asian Cup qualifier between India and Kyrgyzstan. This is your host Punit Tripathi, LIVE from Sree Kanteerava Stadium, Bangalore while Srinivasan Mohan provides us with video updates.